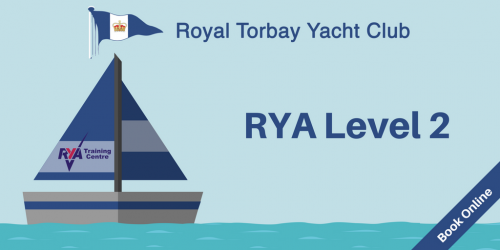 Royal Torbay Yacht Club is a Royal Yachting Association (RYA) recognised training centre offering a comprehensive range of RYA training courses. 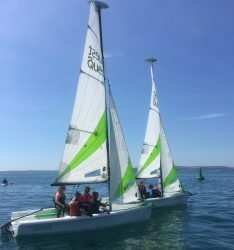 Our friendly, fully qualified instructors are passionate about sailing and have a wealth of experience training both adults and juniors. We aim to ensure a safe and fun learning experience tailored to each individual’s requirements, encouraging learning at a pace to suit each student’s ability and confidence. We are located a stone’s throw away from Torquay Harbour with convenient parking just across the road. Our well-appointed Club house, with its recently refurbished training facility,bar, restaurant and terraced garden overlooking Tor Bay provides the ideal location to relax after your training is complete. All of our currently sheduled courses are available for secure online booking from this page. If you have any questions, would like more information or the course you are currently looking for is not scheduled please contact us. 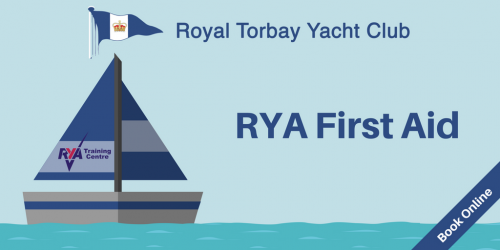 Expert sailing instruction from Royal Torbay Yacht Club. Our most popular course provides an entry level introduction to driving a powerboat. There is no training currently scheduled, please contact us. Looking to skipper a boat? This course is the best starting point for those with some basic navigation and sailing skills. Beginners' course to help you prevent and solve diesel engine failure. Provides a basic introduction to navigation, the ideal precursor to a Day Skipper course. Covers basic First Aid from a boating perspective. 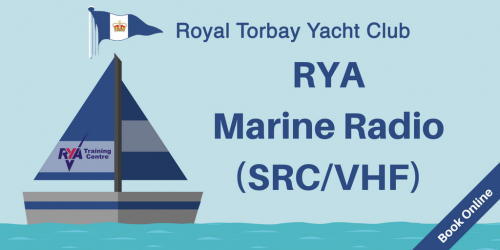 The minimum qualification required to operate a VHF radio on your vessel. Vital for anyone going to sea, providing an understanding of how to use your safety equipment. Provides the depth of knowledge required to cope with all conditions when sailing or motor cruising.